Teaching gardening skills - the decline stops here! 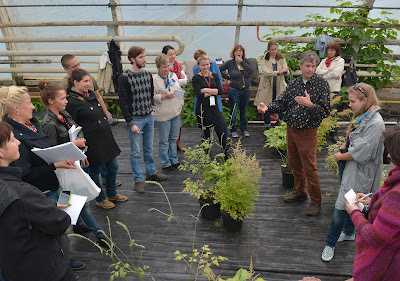 Two conversations recently about the terrible state of horticultural education in Britain: both with former teachers at (former) horticultural colleges. Another reason for national shame – the world's leading garden nation (well probably!) has now hardly any college courses teaching horticulture. As for 'adult education', run by local councils, this was something we used to be really good at, but it began to run into problems back in the 1980s, and then be starved of funding from the 1990s onwards. It is now effectively dead. 'Lifestyle' publishing stressing design over gardenING. End result is a whole generation seems to be growing up not knowing how to prune, take cuttings, grow their own bedding plants. I feel more and more concerned and interested in the whole issue of 'garden education'. I write as someone who has worked in adult education in the dim and distantly youthful past, and socially I move in a world where there are a lot of professional educators. As a writer and 'communicator' I am fascinated by information and how you present it, in particular the challenge of how you break down really complex or counter-intuitive information and get it across. I really feel its part of my mission now. 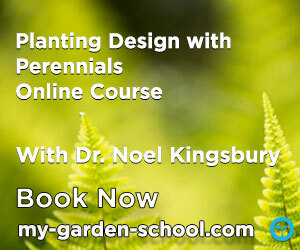 Teaching gardening is a complicated business, which is perhaps one reason why I find it so fascinating. It is a mix of art, craft and science. Art means creativity, and beyond the basic growing of lettuces in straight lines, almost any gardening involves some creativity. By craft I mean the application of a set of skills, something which through constant repetition, you get better at. When people talk about science however, what they often mean is technology, a trial and error process of making something work. Understanding some basic plant science however, does help a lot – it enables you to take some acquired knowledge and then apply it to new situations. OK, that's enough definition defining. One of the wonderful things about gardening is the way that leads people who often don't think of themselves as artistic into creative activity. Just how do you set out the begonias you just bought from the garden centre? Now that you have got the clippers out, just how are you going to shape that hedge? Shall I buy those screaming pink lythrums and put them next to the yellow rudbeckia? Traditionally gardening was essentially a craft activity, the perfecting of skills which could be applied in more or less creatively, depending on the person. Most would clip a hedge to a straight line, but those who felt like it could turn their skills to castellations or curves. Artistry and creativity have always been like optional add-ons; more or less as mood and confidence allow. The last thirty odd years however have seen a 'design revolution' which has completely turned the craft/art equation around. The creativity of many gardeners (very often women, traditionally rather marginalised) has been given a boost, but at the expense of the passing on of the craft skills necessary for quality garden maintenance. Gardening media have focussed on 'getting the look' rather than 'how to do it', and have simply not been transmitting the nitty-gritty practical knowledge. 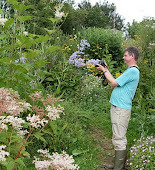 We now face the situation of gardeners 'getting the look' but being unable to keep it. And no use turning to professional gardeners, because there are not many of them, and so many of the semi-skilled ones are precisely that, capable of doing the basics but with no real depth of skill or plant knowledge; they can mow, clip and weed, but cant' prune properly, propagate or train. We, in Britain, don't do too badly with 'garden schools', privately-run institutions which put on day classes on various aspects of gardening, and garden design. These to some extent make up the slack left by the loss of council adult education. Except that most of them are in the south and south-east of the country and are marketed at, and priced for, older and reasonably well-off people. If you are a youngster trying to get into gardening these days, or find out more, the opportunities are greatly reduced. What do the 'garden schools' offer? A lot actually, up to a point. Getting big name speakers is part of the appeal, so there is an opportunity to learn from real expertise and knowledge. However, the quality of teaching is pretty basic, so basic that 'teaching' had better go in inverted commas – it's actually lecturing. Most of the speakers at these events give a good lecture, and that's that. There is often little 'active learning', where participants have to do things; the design-orientated courses seem to be ones most likely to include an active participation element. However good a lecturer is, they cease to be good after about an hour or so – the human mind only has a limited ability to concentrate, and after a while begins to switch off. Another activity is needed to refresh the mind and preferably, to enable information acquired to be put into practice. There are garden lecturers who seem to think that showing slides and talking to people for hours at a time is 'education'. Sorry, its not - its being 'talked at'. I remember one experience, in the US, where a speaker lectured an audience for two hours solid in a temperature of over 30C, allowing the prisoners a brief break and then launching into another hour. The few gardening conferences (all in the US) annoy me too, wall to wall lectures but no conferring. The trick is to design events where participants can do something: make lists of plants, analyse plans, take some cuttings, discuss a plant selection, prune a rose bush. Its not always easy, as venues often don't have enough space or facilities to allow this. But this active engagement is vital, if information gained is actually to be retained and internalised. Which, in short, is why Annie Guilfoyle and I have started the Garden Masterclasses. 13 events and 20 tutors across 8 venues, in the South-West, South Wales, South East, Cotswolds, Lincolnshire, Yorkshire and Scotland. Would you trust a seed swap seed? Its February, so it must be seed swap time again! Seed swaps have been growing in popularity for some years now. The best known one in Britain is Brighton's Seedy Sunday. The events are an excuse for a get-together for gardeners apart from anything else, and since gardening often is a rather solitary activity, this seems a jolly good idea. Very often the seed swap is just a peg on which to hang the event, with most attention and energy spent on going to talks, eating, networking, buying stuff from stalls etc. But what about the idea of the seed swap itself? Basically the idea is that you save seed from a good variety and then package it up and offer it to other people, so you are sharing your good variety. But why do this when the range of seed available commercially is so good? Promotors of seed swaps like to portray themselves as keepers of genetic diversity, safeguarding old varieties from extinction and keeping that diversity going for the next generation. Commercial seed producers are generally cast as agents of wicked corporations which are trying to limit the range of what we grow, so they can monopolise it. Particular venom is reserved for F1 seed varieties, which will not breed true and are therefore 'one use only'. Seed swaps tend to concentrate on vegetable varieties. Given that such an epic range of vegetable seed is now available commercially, whereas the range of ornamentals: annuals, perennials etc, has actually gone into decline, I would be more likely to see myself visiting a seed swap to get interesting ornamental varieties. The emphasis, and the undoubted moral ardour is however very much on the veg, so that is what I'll concentrate on. Sorry to pour cold water on what sounds like such a good idea, but I'd be pretty wary about getting my seed from a seed swap myself. Here's why. Is it what is says on the packet? With the best will in the world, it is very easy to muddle seed up. 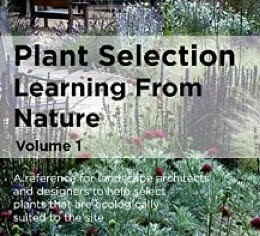 I have just been informed by a correspondent that DEFRA (the British government department for agriculture and the environment) recently did a survey of online seed sources, and 60% was the wrong species, i.e. not just another variety of carrot, but beetroot instead! How has it been kept? When you buy a packet of commercially-produced seed, you can be 100% sure it has been harvested and stored in optimum conditions. You can never be sure with seed swap seed, where its been. Seeds deteriorate if conditions aren't right. Damp shed? Overheated room? This season's harvest, or last years? Local does not mean best. One of the 'facts' touted around the seed swap movement is that vegetable seed from locally grown plants will be adapted to local conditions and therefore grow better. This is complete rubbish. Nearly all the veg we grow have what is known as a wide ecological amplitude – they'll grow well across an enormously wide range of conditions. Most of us (in the UK) will have noticed how the Italian company Franchi sell their (very reasonably priced) seed really widely now. Does this mean that their vegetable varieties will do less well here because this is not Italy? No. And in many cases the varieties are the same anyway. Even if vegetable seed could meaningfully evolve towards being better adapted to local conditions this would take many generations to achieve. The only possible exceptions might be those veg which are right on the borderline of being viable in the local climate. Tomato or aubergine seed from somebody who has grown the plants outside at a northerly latitude is going to be in with a chance, at least. Someone has a veg variety they like, so they keep the seed, and sow it again next year, and the year after that, and so on. Every year it will actually change slightly, so that after a few generations it may have lost the special characteristics it had that made it special. Commercial growers ruthlessly 'rogue' their plots of plants, removing any which do not 100% match the original. They also operate on a large scale, so minimising the distorting impact of the odd rogue plant. Anyone seed saving on a small scale will be growing a relatively small number of plants, so if you are saving from ten plants, one of which is a bit dodgy, then that'll be 10% of your seed harvest off-kilter. When growing veg in the garden, there is a strong tendency to harvest the good plants, so saving seed from the remainder. With plants where you cannot 'have you cake and eat it', like lettuces or carrots, saving seed from one's own plants might actually mean you are consistently saving from inferior plants. Given what I have just said, the problems in maintaining a variety's integrity on an amateur basis can be pretty major, so I don't see seed saving and seed swaps as doing anything very much towards maintaining genetic diversity. Seed companies of course maintain considerable seed diversity, but that isn't much help to anyone with a small plant breeding business . There is a very valid criticism of the seed business - that they have a monopoly, and is probably one of the reasons that we (in Europe or North America) see very little small-scale or independent vegetable seed selection and breeding. The exceptions are tomatoes and chillis, where there seems to be a very healthy market in amateur or small-scale breeder varieties. See Simpsons Seeds. The accusation is sometimes made that all commercial veg seed breeding is for the big growers, and the amateur grower has to do with the crumbs from the table. Well, actually the demands of all growers are pretty similar: strong-growing, reliably producing crops tolerant of a wide range of conditions and pest and disease resistant. It is the latter factor which makes modern breeding so superior to 'heritage' or 'heirloom' varieties – so much breeding effort now goes into producing varieties that will stay healthy without using pesticides. This is why the statement on one seed swapping site that “It keeps seed making in the garden and out of the laboratory” is so daft. If you want to live in the Middle Ages, that's fine, but most of us would like to move on. F1 seeds are presumably one of the 'laboratory' crops. For many of these, there is probably little point in us growing them, as their advantages are mostly for commercial growers. BUT for the latest in disease-resistant varieties, or sweet corn or courgettes for cooler climates, then there is little option – F1s maybe more expensive, but their advantages can be well worth the extra cost. The prejudice against F1s is little short of ridiculous, a sort of spill-over from the rather hysterical opposition to GM breeding, a technology which by the way has yet to show any of the ill-effects that were predicted. Much of the discourse around the seed swap movement reflects a kind of 'small is beautiful' romanticism. There seems to be a widespread belief that evil multinational corporations are hell-bent on forcing governments to ban varieties, forcing us into a kind of vegetable totalitarianism. In reality, the range of varieties has risen dramatically over the last twenty years, partly because more mainstream commercial varieties are available to the amateur, the expansion in the range of heritage varieties available, and the increasing interest in trying varieties from other countries. Above all, we are more adventurous and are demanding and fussier consumers, so the trade in vegetable seed has inevitably reflected this. There is room for the small producer as well, the sort of place that sells obscure varieties that probably wouldn't sell well from the supermarket. For these, such as RealSeeds, we should be grateful. But if you want to see the full range of commercially-bred varieties and the opportunity to buy them in whatever quantity you want, try Moles Seeds. Better to spend your money with a proper seed merchant than risk all the unknown factors of a seed swap. Anyone selling seed commercially will generally have some sort of government certification, which in the words of one small grower, “if you buy from a registered merchant then you will get good seed, that germinates, of the variety on the packet.” So there. And gardeners should get together to meet each other anyway, even if it only to swap seed catalogues.